The Perth Symphony Orchestra is thrilled to launch the inaugural WA Composer’s Competition for 2015. We are committed to supporting local talent and endeavour to program a contemporary West Australian composition in each concert where and when possible. We are passionate about nurturing the musical careers of young composers in West Australia and aim to provide a platform for them to have their works performed at every opportunity. Are you currently a West Australian resident? Via: Email to bourby@perthsymphony.comDropbox by uploading to a folder titled Surname/PSOComp14 and invited bourby@perthsymphony.com to join. Please be aware that large files may not email so dropbox is preferable. All parts of the application are due by 5pm 1st DECEMBER 2014. We will be sending out regular updates for our forthcoming concerts and events, so please follow us on Facebook and Twitter. All West Australian residents and/or composers currently studying in West Australia are eligible; no age limit or pre-requisite study required. Composers must send either a sample (minimum of 1 minute duration) or completed work (maximum of 5 minutes duration) plus an mp3 of your sample/work. It would be beneficial for composers to write in mind of the nature of the concert, composing a work appropriate for premiering at the Perth Symphony Orchestra signature concert ‘Symphony by the Lake’; an outdoor family summer proms. Two copies of the score must be provided; one in Sibelius format (or equivalent program) and one in pdf format. The winning composition will be performed and audio recorded by the Perth Symphony Orchestra at ‘Symphony by the Lake’ on XXXXXXX. 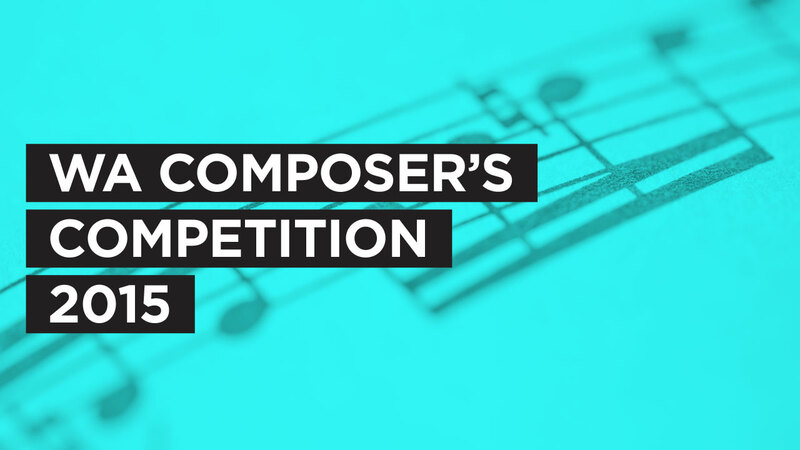 Compositions will be judged by a panel comprising of both orchestral musicians and composers, and all decisions are final. The successful applicant will be notified by email and announced in December 2014. Please note that NO late entries will be accepted.